How Many Reasons Do You Need to NOT Vote for Mitt Romney? I have to give major props to a twitter great @MittRmoney and the group 140 Elect for this list. Because the most effective tools against this candidate are the facts! Here are a few gems. •Mitt Romney left Massachusetts with a 39% approval rating and 47th out of 50 states in job creation •OneTermGovernor Mitt Romney left MA with 24% higher spending, $501 million in new “fees”, and the highest debt per capita in the country. •Mitt Romney’s records as Governor are gone. He ordered staff to destroy computer drives after buying them for $100,000. •Mitt Romney protested in favor of the Vietnam draft then lived in a French palace during the war. •52% of Republicans believe the war in Afghanistan is not worth fighting. @MittRomney is not one of them. •President @BarackObama leads Mitt Romney in his home state of Massachusetts by over 21%. •Bishop Romney once threatened to excommunicate a young single mother if she did not give her son up for adoption. •Mitt Romney touted RomneyCare as a model for national health care reform three times in 2009. •Mitt Romney made millions investing in companies that did business in Iran. 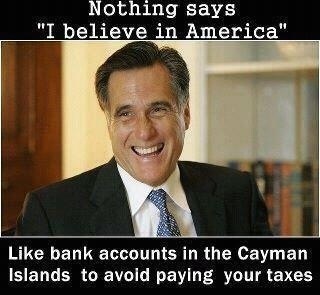 •Mitt Romney’s tax plan gives millionaires an average tax cut of $250,000. •Mitt Romney’s budget plan would throw 13 million people off of food stamps. It’s amazing the two candidates are so close in the polls currently. There really should be no contest between a President Obama with integrity and this man with zero principles or ethics. Previous Post The United States is a Country, Not a Business!